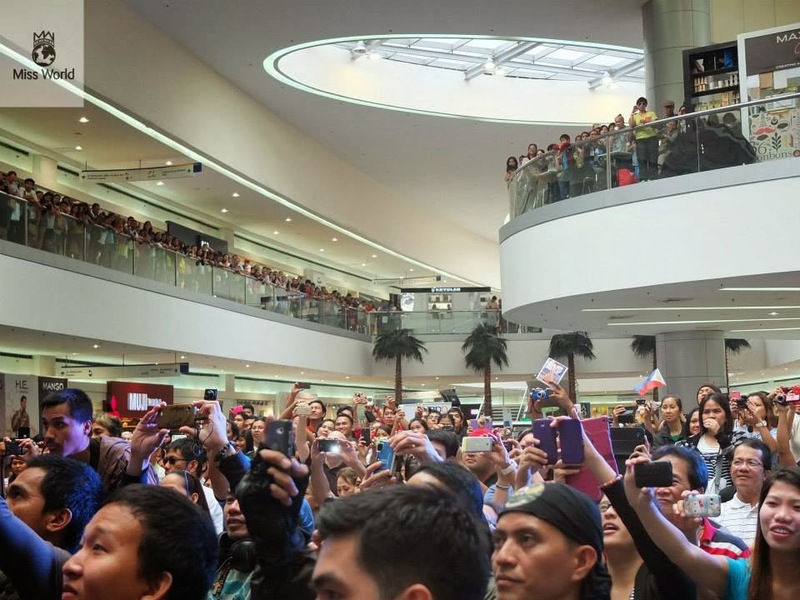 The Philippines sure does know how to welcome a queen! 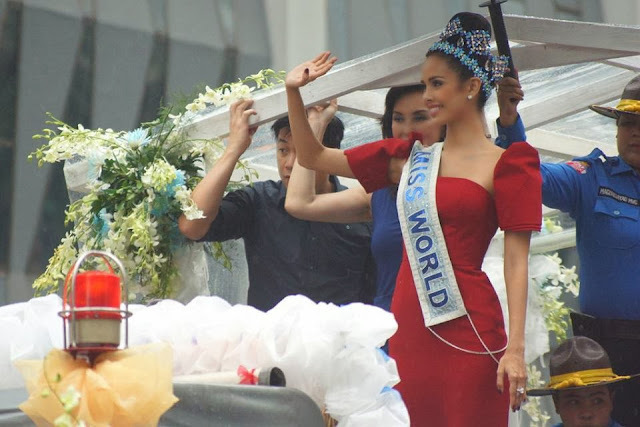 Megan Young, the first Miss World from the Philippines, got a rousing welcome from her countrymen in the streets of Manila yesterday. 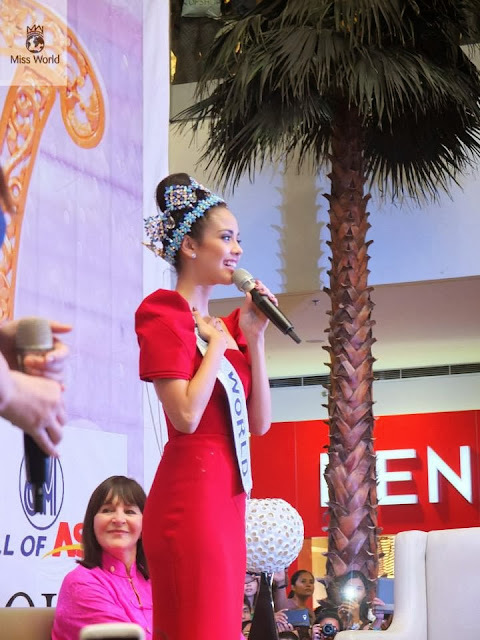 Not even a typhoon that's hovering over the country could dampen the spirits and excitement surrounding the celebration of the Filipino people's very first Miss World crown. 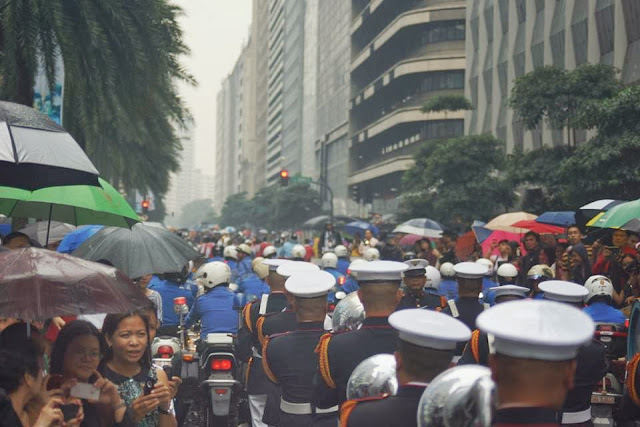 Pouring rain in the nation's capital could not even stop thousand of people from showing up along Ayala Avenue to scream, cry, and cheer for their queen. 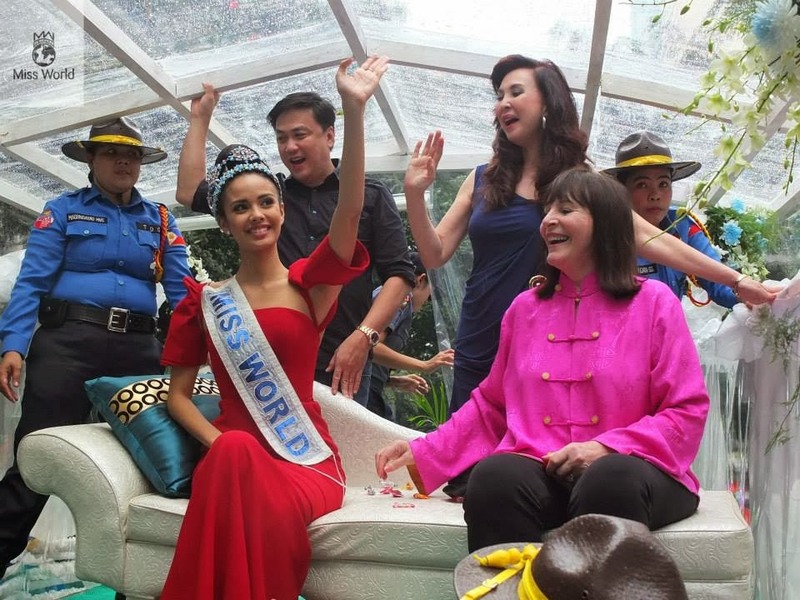 Young was beaming with pride and happiness as she waved from her victory float joined by Miss World CEO, Julia Morley (who looked equally proud and delighted), and Miss World Philippines License Holder, Cory Quirino. Dressed in a red terno, the traditional dress of the Filipino women, Young looked every inch a Miss World. 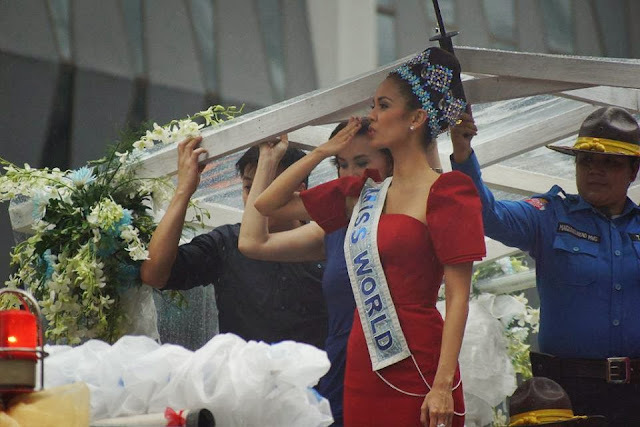 After the parade, the delegation headed to the SM Mall of Asia where thousand of people showed up to greet their Miss World. Young took the microphone, expressing her gratitude to the fans and sharing with them her feelings of pride and joy this fantastic achievement has brought her. Today Young will head to her hometown Olongapo, where she is sure to receive another jubilant and emotional welcome. 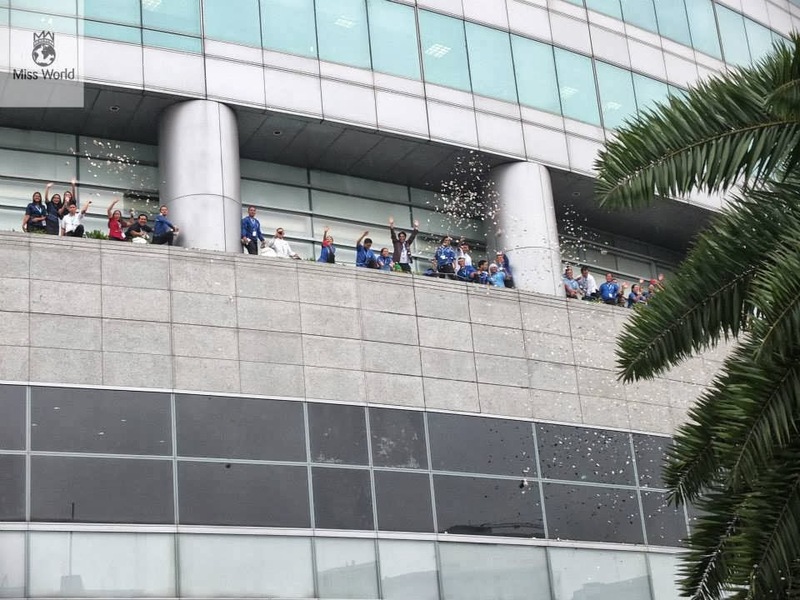 She will also meet the mayor during this visit.